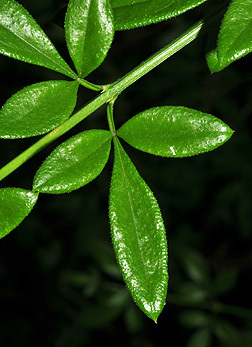 Leaf:Opposite, trifoliate, leaflets oval to oblong, 1/2 to 1 inch long, shiny dark green above. 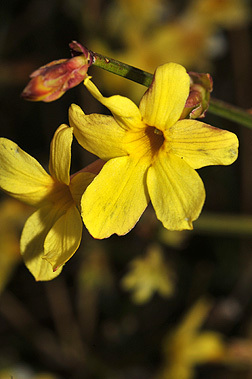 Flower:Bright yellow, unscented, funnel shaped with 6 petals, 1 inch across appearing in large numbers for long period throughout the winter. 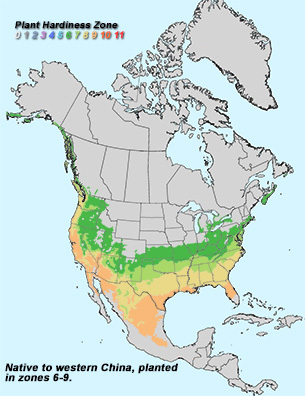 Fruit:Black berry, rarely or never seen in cultivation. 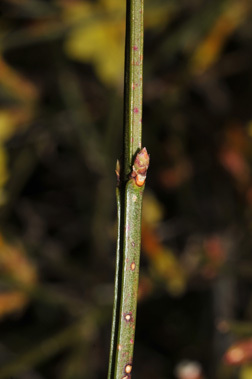 Twig:Green, four angled, slender and arching; pointed 1/8 inch long, red and green buds. 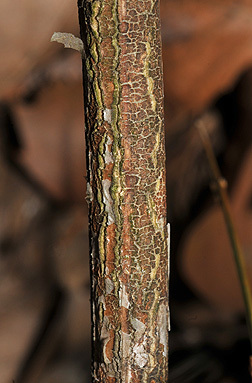 Bark:Green the first year, turning gray to red brown, thin and finely scaly. 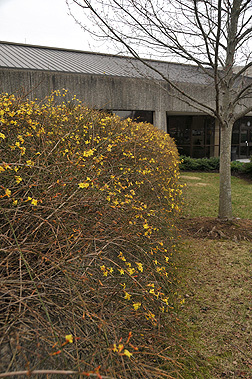 Form:Sprawling, arching shrub, up to 4 feet tall unless allowed to climb and supported; works well cascading down embankments and over walls.